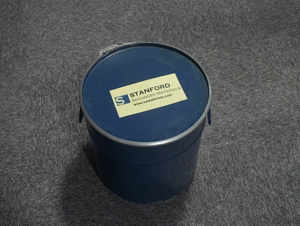 Stanford Advanced Materials (SAM) is a trusted supplier and manufacturer of high quality Aluminum nitrate nonahydrate for a wide range of industrial uses. Aluminum Nitrate Nonahydrate is also known as Aluminium (III) Nitrate, Nitric Acid and Aluminum Salt. 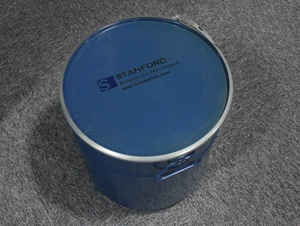 Aluminum Nitrate Nonahydrate is white crystal and hygroscopic solid. It is made by adding nitric acid to aluminium trichloride. Aluminium nitrate nonahydrate can also be made by adding a lead nitrate solution to an aluminium sulfate solution. Aluminum nitrate is widely used in corrosion inhibitors, tanning leather and antiperspirants due to its strong oxidizing. Our aluminum nitrate nonahydrate is carefully handled to minimize damage during storage and transportation and to preserve the quality of our product in its original condition.